Valency grammar assumes that words, e.g. verbs, have a valency that determines the design of the construction - in the case of verbs the construction of the sentence. Construction grammar, a current direction of grammar research, does not start from the word and go to the sentence (to the construction), but as a matter of principle always starts from the construction. 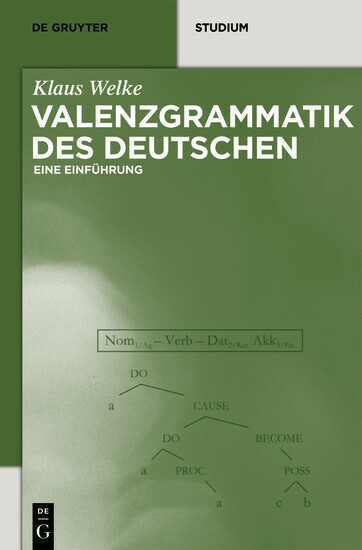 Both approaches are presented together in this book to show how word and construction determine each other reciprocally and how creative language usage develops from this reciprocal relationship. Klaus Welke, Humboldt-Universität zu Berlin.